Heather Dessinger 637 Comments This post contains affiliate links. What stories will your kids tell when they grow up? Will it be how you treated everything with coconut oil like Gus Portokalos used Windex in My Big Fat Greek Wedding? 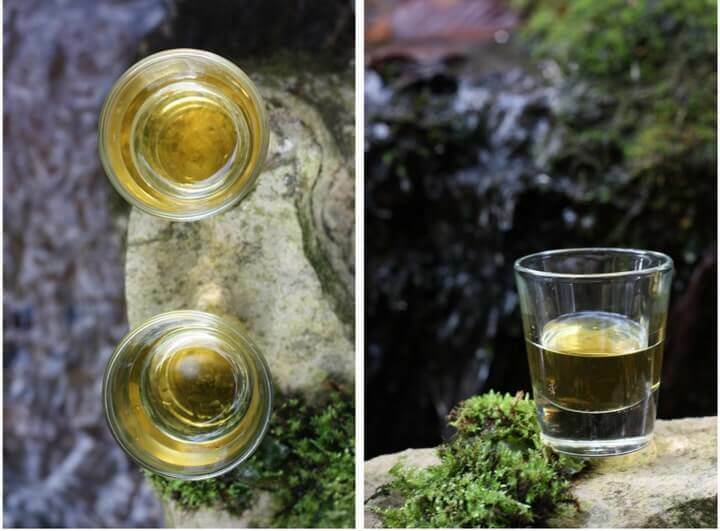 Or the way you filled shot glasses with various immune boosting elixirs? Or how you managed a bed and breakfast on your kitchen counter? Okay, scoby hotel. Same difference. We do these things because we want the best for our kids, and the hilarious stories they’ll get to tell about us later are just a bonus. That’s why I’m so excited to be partnering with Corganic to tell you about a brand new type of raw cod liver oil, which I believe it is one of the best supplements out there. Unfortunately it’s not even remotely wretched so it probably won’t make it into your firstborn’s wedding toast. Oh and also? By “brand new type” I mean older than the Vikings. You see, something magical is happening . 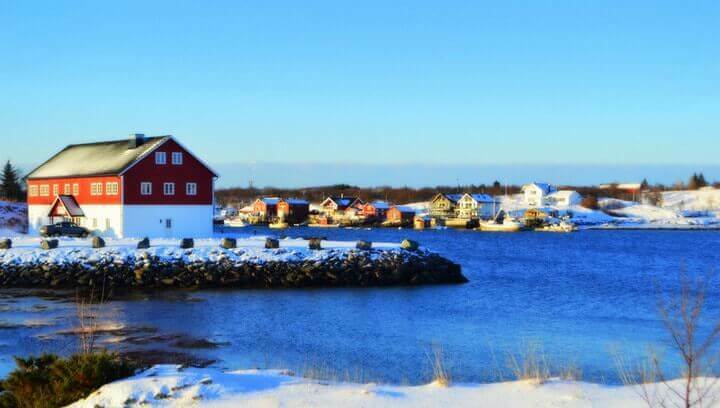 . .
An ancient way of extracting cod liver oil has been revived on the old Norse stomping grounds by the Rosita family, whose lineage reaches far back into Norwegian history. Their grandparent’s learned from their great-grandparents, who learned it from . . . well, you get the idea. The final product – extra virgin cod liver oil – is unlike anything else on the market. What Is Extra-Virgin Cod Liver Oil? Ahh, good question. Rosita extra-virgin cod liver oil (EVCLO) is produced using a rare, ancient method that does not rely on heat, chemicals, solvents or mechanical devices of any kind. The process yields a fresh, wild and raw cod liver oil that preserves valuable nutrients such as fat soluble vitamins A and D, antioxidants and natural sterols. “The Ancient Norse people observed that the appearance, size and texture of fish livers vary considerably depending on the seasons. For certain seasons, the livers were beautifully plump, with a light cream color and very soft to the touch, ‘bursting’ with oil of a superior quality. During other seasons the livers were smaller, with a reddish hue, firmer to the touch, with very low oil content. Nearly two years later, a bottle of golden, liquid sunshine arrived on my doorstep. It was worth the wait – my kids like its mild, fishy flavor, and I love the great care with which it’s been produced. Is Extra-Virgin Cod Liver Oil Pure? The fjords of Northern Norway, where Rosita EVCLO is harvested, are some of the cleanest waters in the world. Though some companies produce cod liver oil from many types of cod mixed together, Rosita uses only the Gadus Morhua, the codfish most sought after for it’s beneficial properties. Their oils are tested often by a number of leading European Institutes, including “Institute of Aquaculture,” a leading internationally recognized aquaculture research institution based within the University of Stirling, Scotland, (United Kingdom), and a number of independent Norwegian laboratories and institutions. Rosita cod liver oil has been tested for persistent organic pollutants (POPs) including pesticides (such as DDT), industrial chemicals (such as polychlorinated biphenyls, PCBs) and unintentional by-products of industrial processes (such as dioxins and furans). They have also been tested for heavy metals and microbiological contamination. Rosita extra-virgin cod liver oil consistently meets or exceeds the safety standards set by the stringent European Commission and WHO rules on environmental pollutants. In terms of purity, Rosita is superior in another way as well. Most brands of fish oil – including many cod liver oils – are “purified” using a chemical extraction process at very high temperatures. A good portion of the omegas and naturally occurring antioxidants are destroyed or stripped out, so manufacturers add specific essential fatty acids, vitamins, and antioxidants back into the oil. Unfortunately, most of the time they use synthetic vitamins and include artificial ratios of things like DHA and EPA. Though they may seem natural, they’re really not. Extra virgin cod liver oil contains only naturally occurring vitamins and fatty acids. Other than the addition of one drop of naturally derived vitamin E and rosemary oil per bottle to maintain freshness, Rosita’s oil is not altered in any way. It has a mild fishy taste. Definitely better than most cod liver oils I’ve tried. This post was sponsored by Corganic. I was already a customer of theirs, but when they offered to send me another bottle of cod liver oil I didn’t say no. Never say no to butter, folks. Also, thank you for supporting companies that go the extra mile to bring us the best. Ok. I’m a little leery of the fishy thing but I’ll try it! Me too! But I’d love to try this! I have been very interersted in trying this!!! WOuld LOVE to win this!!!! i want to win for my childrens health! I’ve always wanted to try cod liver oil but it is too expensive. I would love to try this for my family! This is a very exciting giveaway! This is exciting! Thanks for the giveaway opportunity! I would love to win this. I’ve been looking for a high quality cod liver oil for my family! Agreed! Many years ago I used Premier Research Labs CLO but you can’t get it anymore. It was a high quality CLO and had a very mild taste. It was much less fishy than the health food store brands. I am sure this CLO will be just as mild because of its high quality. I have been wanting to start my son on cod liver oil. I hope I win, I have been wanting to try some!! What’s your opinion on fermented CLO? Thanks! I’ve never heard of this brand. It sounds like something we’d like to try. How would this compare to green pastures FCLO and bo? would love to give it a try…. Dealing with some dental challenges in our family. I would love to get all 3 of my kids on this daily especially with cold and flu season coming up and having a newborn in the house! I would love to try this butter and oil! Due to budget restraints, I use other items as listed in Weston A Price’s catalog but would love to get my hands on something better. would lovvvvvvve to try this!! All good things are expensive! Previously I had tried Green Pasture’s Fermented cod liver oil blend – good, but costs a lot of money – I haven’t been able to get it again! I hope I win! We love cod liver oil! This would be a great opportunity to try something new! Ah! So excited to have more than one option for CLO and Butter oil! Here’s to great health and children with beautiful teeth!! I use Green Pastures, but would love to try this and see how it compares. Very interested! Thanks for sharing the info. To help heal my daughter’s teeth! Sounds like an incredibly nutritious CLO. Would love to try it! We are regular, and happy Green Pastures customers. I would love to try this as well! I’ve wanted to try this brand! Would love to use this increase my family’s health!! You’ve actually made me excited about adding this to my health cupboard! I use cod liver oil for my hair, but now have learned it is good for my insides also. My family and I have been taking this oil for about a month. Prior we were taking green pastures. I will say the “mild” fish flavor is not so mild. It does take some getting used to. My 3 year old refuses to take it so I put some on his back every night before he heads to bed (I read about doing this on their website). I’ve always wanted to try Cod Liver Oil…anything to help keep our four munchkins healthy! I’ve been thinking about ordering these two oils. Would love to try them! Exciting to have more choices for quality cod liver oil! I used to use cod liver oil but have lapsed. I would love to start back up again and this would be a great way to do so! we take cod liver oil daily but i would be interested seeing if a better quality oil makes a difference to how we feel and i’m very curious about the butter oil. Excited for another CLO option! I’ve been waiting for this to become available! Inflammation runs rampant in this house between my gut issues and mom’s osteoporosis….I’ve been following you around for a while now and I trust your good judgement. Thank you for the giveaway! I would love to try cod liver out! Especially since I’m pregnant and need the extra nutrients for my growing baby! I would love to try these 🙂 FYI: The Corganic link doesn’t seem to be working in the Rafflecopter. I had to search for the site and sign up for the newsletter there. Looking forward to learning more about the benefits of these. So interested in incorporating this into our lives on a daily basis.. but it is expensive and i’d love to try it out first! This is interesting- and a bit confusing also. Green pastures has always claimed that fermenting the cod liver oil was the traditional way to extract it- yet this company is claiming their way is the traditional way. Have you compared the nutritional breakdown? Are they both considered high vitamin cod liver oils? Or is fclo the high vitamin and evcl is a more “regular” level of a and d? I did look up the pricing- looks like it’s about 3 times as expensive as fclo – which is probably an important factor for those who don’t have an issue with fclo. Having said that- I know many won’t use fclo because of the strong….um flavor…. so having a different product to point them to would be awesome. Hi Nicole, the GP technique is traditional. This technique is as well, though it is not as well known. I would love to try this for my family of three boys (2 sons and one husband) and myself. I have never tried before! 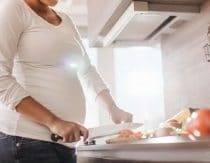 I’m pregnant and also have an 18 month old – we could both benefit. Oh!!!!!!!! I want to try this!! We use a CLO but it is not a favorite of my little men!! Always seeking the best for our family! Am curious to try it! I’ve been meaning to try CLO for a while now! I have 4 kids who take it regularly and would love a free bottle of cod liver oil, would really love to try the butter oil to ! I would love this codliver oil and butter oil to keep my teeth strong and cavity free! New to regularly taking FCLO and would love to try this brand! I really hope I win. I would love for my family to try this, we can all benefit from it! This product sounds great and I’d love to try it! My three boys and I would LOVE to try this miracle supplement! I would love to try this supplement for my family! I’d like to up the quality of my cod liver oil, but it is so pricey! This seems like a good way to at least try! Really interested to see how it compares to Green Pastures. We’ve been taking their flavored blends for 2 years now. My kids are amazing and just drink it down! I need to heal a couple of cavities and regain my fertility. It’s great to see a new brand of FCLO to try. Competition is a good thing! I would love to try this new brand! We’ve taken CLO before, but never much luck with getting kids to BO…do you just take the BO straight? Or mix it with something? Or mix the two together? We usually use fermented cod liver oil – would love to try this. I’m really interested in learning more about this. I thought that WAPF recommended FCLO. But this company’s website claims that CLO cannot be fermented due to its lack of sugar/starches. Makes total sense, but I am just confused about the recommendations from WAP and SF specifically for FERMENTED CLO. I remember my mom giving us spoonfuls of Cod Liver Oil when we were kids. I hated it then, but now I realize and appreciate all the health benefits. Would love to start giving it to my kids and taking it again myself. Would love to try some that it’s so strong tasting! Currently using Carlson’s but would love to try this. I would love to try this! I have four kids. We are not fans of fish at our house. I have been dying to get my littles to try this to get the benefits of K2 for their teeth! Plus overall health. Thank you for the chance to win some! Would love to try this product. Sounds great. I use green pastures but would love to try this new brand! After practically stalking Mommypotamus and Mama Natural over the last couple of weeks I have wanted to buy a good cod liver oil to try but my oh my are they expensive, especially to my supportive but skeptical husband. We are still in college (and will be graduating this coming July! Yay!) but are planning to start trying to get pregnant in just a couple of months and I am trying to get my body ready. I would love to try a good Cod Liver Oil and Butter Oil! Would love to try some. I have heard about the health benefits cod liver oil and butter oil, but never tried it. Never heard of this brand. Thanks for all the info. Hope to win! Current taking green pasture cod liver oil but would love to try this one! I am currently using green pastures, but would love to have another option, so thanks for the heads up! I want to win because I am pregnant and always looking for good supplements! I’ve been doing the research in cod Liver oil and butter oil it is expensive which is why I haven’t tried it yet. Would love to try it out! I am always searching for new and unique oils and butters. I want my food and products that are processed using unwanted chemicals. But the main reason would be for my 2 year old granddaughter. She was born a preemie and has thyroid disease. She is not gaining weight like she should. Would love to try another brand of FCLO! Oh man. I’d so love to win this!! Thank you for the giveaway!! I haven’t heard of this brand before–sounds really interesting! We don’t yet use this in our health regimen and this would be the perfect way to start! I’ve used clo for a while but very curious about this companies!!!? We take FCLO already, as much as we can afford to, but it is really hard to get the kids to take it. This sounds like it might be to the new win from that angle! Thank you! I’m curious to try it and see how it differs from Green Pasture. We take the fermented cod liver oil and definitely love the benefits! I’d really like to try the extra virgin cod liver oil and compare the two! I am excited to try EXPO because of all of the skin benefits I’ve heard of! 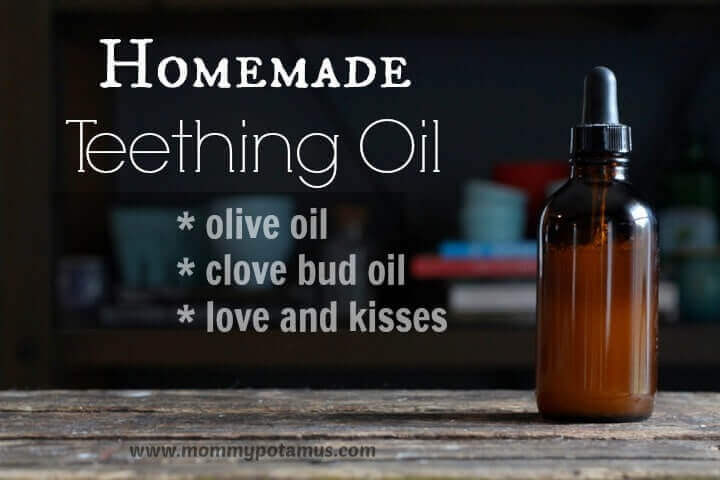 I would love to try this oil! So excited to see this available. Can’t wait to try it! it looks so high quality. I have been wanting to implement fermented Cod Liver oil into our diet…just haven’t been able to save up enough moula yet. Very excited to hear about this resource! We use the fermented cod liver oil, but being pregnant and having heartburn.. The taste is too much right now:( hoping this one will be milder! And would be great to introduce my 10 year old to it as well! just in the meantime – green pasture’s artic mint flavor is pretty bearable, especially when taken at night – much less burping. oslo orange had no fish burp taste to me, so even though i didn’t like the flavor as much, i took it when pregnant. neither was fishy to me. I am curious to find out how it compares to Green Pasture, which we’ve been pleased with. I would love to win this to try it out for it’s obvious health benefits, but also to see if it will help heal my husbands teeth. 🙂 it’s awesome to see companies making a point to produce things that are actually good for you!! I would love to compare this and Green Pasture products. So excited that there is a new cod liver oil option. Looking forward to trying it. Green Pastures FCLO/butter oil helped me have a very healthy pregnancy. I wonder how compares and am very interested to try it. I’ve been getting Twin Labs CLO lately, because it’s cheaper than the fermented CLO, so I’d love to win some super high quality FCLO! Would looove to win this! Thanks for the chance! I’m excited that the oil is extra virgin! I want to try the oil because of all the health benefits. Getting to try it for free first could be the push I need to actually buy some. How exciting! I would love to try this!! I can’t wait to try some of this! Does it taste better than Green Pastures cod liver oil? We are on the GAPS journey with my 3y/o ASD son and it is a crazy expensive diet, but we have to do it, even if I have to stave so my son can heal. We’ve been out of our FCLO for a month simply because it’s just to expensive and I can’t afford to get more right now. If we win this, it would be a God send! Thank you so much for the opportunity to win! Because I’ve been following their progress for the last couple of years and would love to try some! It would be good for me and my family but is out of the budget. I’d love to try it out and see if it could help with kids’ asthma and ezcema, my autoimmune issues, and husband cardio health. I’ve been wanting to try it, but is so expensive. I’ve only tried fermented. This has to be better! I have been taking Skate liver oil, but my husband has reservations about whether or not it is an environmentally friendly product. It has been a real ordeal trying to find a product that can meet his standards. The fact that this oil is from Norwegian fish, really makes my life easier. We would be very excited to try a *new* traditionally extracted fish oil! Would like to try the new kid on the block. Sounds like a great product! Very curious about the butter oil! We take Norwegian Cod oil daily already, however I’d be interested in comparing the two as far as quality! Would love to win! Thank you! Of course, this is a new brand to me but I LOVE this oil combination!! I have wanted to get my family to start taking Cod Liver oil, but have been hesitant because of the price. I think a trial would be a good push for us. I would love to try this! I have wanted a non fermented choice. I’ve been researching the benefits of cod liver oil and butter taken together and I’d love to try a really good brand. I don’t want to spend a lot of money on something until I’m sure the taste is mild enough for my little ones though so I’d love to try this. Thanks for the great giveaway! I would love to win this CLO. We just recently discovered how beneficial is when we were trying to find options in helping my son’s (age 2) leaky gut issues. Now the whole family takes the stuff!! I was just thinking about ordering CLO and BO again and would love to win this to try!! Need to heal my adrenal/thyroid problems!! We love it and I want to win! ! I would love to try this as I’ve been wondering if there are any comparable or even better alternatives to the Green Pastures brands. Winning it would be amazing! Been wanting to try it. My son has severe eczema and I have heard wonderful things on the effects Cod Liver Oil has for it. I’ve been searching for the right brand but in the end I’m not sure which one is the best. This brand looks amazing and I would love to try it. I would love to give this to my kids and me! What a great giveaway! I love all the benefits of FCLO and BO. These are the supplements that I will spend the extra money in to get the best product possible. Would love to win this to try with along with my 2 growing children! I’ve always wanted to incorporate clo and butter oil into my diet but never had the money to do it. I would LOVE to try this! I am definitely a fan of CLO’s benefits, but my kids aren’t sold on the taste – especially my toddler, who acts like we are torturing him when we give it to him. I’ve been recently reading more and more about cod liver oil and the wonderful benefits of using it as a supplement. I would love to give it a try. Taking wellness into my own hands. Striving to distance myself from the medical model and meds that docs want to prescribe for symptom relief. My desire is to not mask symptoms but to discover why I have symptoms! I’ve read quite a bit on oils, essential and food grade. I would really like to try this raw, EVCLO and butter as a step in my journey. Thank you for the giveaway, Mommypotamus & corganic! We currently take FCLO so I’d like to know how this product compares not so much in taste but in vitamins and such. We wanted to try this brand for our toddler but it’s so so expensive. Great giveaway! Do you have any thoughts or information to share comparing the raw extra virgin cod liver oil to the Green Pastures fermented cod liver oil? I would absolutely LOVE to win this ! I have 3 kids with eczema and I know they would benefit so much from it. Thanks! I used to take CLO years ago but got out of the habit. I’d love to get back into it and I love the idea of a milder taste. Also the butter oil sounds delicious! I would love to try this! I’m not too sure of swallowing oil, but willing to try. I really want to know what this is like, less processed. We are GP fans but would love to try something new. Have been taking green pastures, would like to try this one. I would love to win the cod liver oil and butter oil to help my family live a healthier lifestyle! Not sure we can afford to buy them right now, so it would be really fun to win some and be able to “dip our toes in the water”. I would love to win, because this stuff is expensive, and I would love to try it! Would love to see how this compares to GP! I am very excited to try this new product. Would like to try this one, been using the CLO pills, but I would like to try this one. How does this compare to green pastures fclo? It sounds more appealing than FCLO – I’d love to try it! I am skeptical because I cannot get my kids to take any but I would be very willing to try this one!!! Thanks for the opportunity! I have always heard that cod liver oil is so good for you but it is so nasty that I couldn’t take it without gagging. I would love to see if this is as good as you say!!!! And the butter oil sounds FAB as well! I would like to win because I have never tried cod liver oil. I’m a Green Pastures customer. Love to try this one! This looks like a great clo option, and I would love to try the butter oil! I have been looking into cod liver oil for sometime now to help a condition that I have, and came across some info in my search that led me to believe it could help a condition of one of my children also. It has been difficult trying to figure out which brand would be best for the both of us. Getting to try one for free sounds great! I love this giveaway! I would love to try this brand! Interested to try this. Bet I could mix it in a smoothie and cover fishy taste! I’ve been researching cod liver oil for awhile. I’d love to try this! Excited to try this brand! We love Green Pastures, thanks for posting this. I already use the other cod liver oil you recommended! Would love to try this one too! I would live to try this! Thank You! I’ve heard of this brand before, but haven’t had the chance to try it. Definitely interesting! I’d love to try this cod liver oil! I know how amazing and necessary this is for our diet! I’ve been wanting to get a CLO supplement for my 14 month old! I’d love to try this. The town we’ve moved to makes it pretty hard to find natural items such as this. Having this would be a life saver for the upcoming cold winter with two busy babies. I take a cod liver oil pill every day. Really interested to try this, though! My whole family already takes cod liver oil and we’d love to add butter oil to our daily supplements! My sister just cured my little nephew of 6 cavities with cod liver oil and butter oil. 6 months ago he had 6 cavities. I told her about what I had read about it so she canceled the filing appt and started with this daily. Just last week, she had an appointment and the cavities are gone. The Dentist was confounded. Anyway, I’ve decided to make it part of our routine! I’d love to give my boys some healthy close to heal their cavities! !! Hope to win! I would SO love to try this! How does this compare to green pastures fermented cod liver oil? Very excited to try it! I’ve been wanting to add this to our daily health routine! I have never tried either cod liver oil or butter oil. I have heard how good they are for us and would like to try them. For those if us that already take a FCLO/BO blend… Which do you think is the best for the price? I have been waiting for this to become available, but cannot afford it right now. I would love to be able to give my family EVCLO daily during the upcoming cold and flu season. what a great giveaway !! I’ve been giving my kids FCLO/butter blend but never take myself or for my husband because of price. Would love a chance to win ! I would like to win as these products are so expensive and I would love to have some to use! I’ve been using cod liver oil throughout my pregnancy to boost my vitamin A, D, and omega 3 intake. I would LOVE to try this version! I’ve been wanting to try CLO for a long time but never decided which to buy. This would be amazing!! I have been wanting to try clo with my children but just haven’t made the investment yet. Winning this would be awesome. I’d love to win because I think it’s a great product! Our bottle is getting low!! Oooh, how exciting! We only recently were finally able to afford semi-regular consumption of the Green Pasture FCLO/BO blend and I’d be curious how this compares. I just ran out of my cod liver oil and would love to try a new brand! I am almost out of our current cod liver oil so I would love to see how this compares! Would love to win! Have been wanting to order for sometime! I would love to try the Extra Virgin CLO, because it is winter time when there will be lack of Vitamin D, not to mention how good for you it is! I would like to win is because I need to stock up on FCLO for my pregnancy. I would love to win this because I’ve been looking into cod liver oil for my vitamin d deficiency. Im a night shift RN and I truly struggle with the symptoms of this deficiency. I finally got my Dr to test my vit D level and it is so negligible it won’t even register. I eat a healthy diet and tried the prescription vit d supplement and that hasn’t helped. I would love to try something other than green pastures. This would be an awesome score for my 2 growing boys! i’d love to see how it compares to green pastures. it would be nice to have another option! I have a serious sugar addiction so I NEED this in my life! I want my son to try this for his cavity. great to know about this resource! I have been waiting for a product like this! Thanks so much for the info! We are taking the FCLO capsules right now, but would like to try the oil! I’m interested to try this after having used FCLO. What do you think of their claims that CLO can’t be fermented? It’s also a bummer that the shelf life is limited in comparison to the FCLO. I’d love to win so I can see how it compares to the brand my family uses now. Thanks! i’ve never tried either one of these but i think they’d keep me healthy during the cold months! My kiddos take the FCLO capsules except my 4 year old who hasn’t mastered swallowing pills yet. He refuses to take it liquid form because of the strong flavor due to the fermenting, I admit I gag on it too. So I am excited to have a milder option I am *hoping* he will take and that I can take without losing my breakfast :). I would love to win cod liver. I just started taking it a few weeks ago after learning its benefits. I’d love to compare this to green pastures fermented cod liver oil. I’ve been taking the FCLO/Butter Oil blend with good results. Would love to try this and see if the results are even better. I have been wanting to get cod liver oil as well as butter for awhile and would love to give this brand a try! Thanks for the chance to do so! I’m a newbie to Cod Liver Oil, so I am interested to know what taking it regularly would do for my body and for my family. Thanks, as always, for the supremely informational post! I have never had Cod Liver Oil before, but I am interest to try it. I also want to thank you for all you post and info. I am learning a lot! I would love to try this. How would you compare this to fermented cod liver oil? Raw vs fermented? I just had a baby almost four weeks ago. I’m trying really hard to eat right and set a good example. This is why I would love to start using real food like this. Would love to compare it with fermented cod liver oil! i would love to take it as a nursing mother! I buy Green Pastures so would like to try a different brand. Sounds like a good one. Thanks for the giveaway! This would be amazing to win ! I’ve always used fermented cod liver oil, but this intrigues me, and I’d love to learn more and try it. Id love to win so my kids can try it!! I would love to win these items, as I feel it would improve our health. Learning and healing from being on birth control. I am all about this! Haven’t tried with butter oil yet though. My 6 year old son and I are in the healing process for heavy metal contamination. Adding extra virgin clo and butter oil that are this pure would help so much in adding the nutrients we need through this process. I appreciate your information and giveaways! I’d love to win this! Because winning would save us a little $ since we already take clo for the health benefits and this stuff is pricey. I want to add a better brand of Cod Liver oil to my dirt than the only one I can afford as a newlyweds because I want my husband and I to be healthy and strong for when we become parents! I’ve been wanting to try this! This would be a great way to start. ive been wanting to try fCLO for a while. This sounds interesting. I want to reverse my daughters tooth decay. I have wanted to try these products since hearing about them. I can’t take the fermented CLO and I question the quality of the other CLOs out there. I am hoping that this one is high quality and reasonable tasting. I’ve never tried cod liver Lil and am just now learning of the benefits. Can it be taken if I’m having severe gallbladder problems? I have to stay away from practically all fats. I would love to win this because I am just starting to learn about these oils and their benefits, and would love to try them for my family. I’m excited to try a new brand and to have choices in my cod liver/butter oil purchases. I have wanted to try FCLO for so long but it is way too pricey for our family of 7 who are also on GAPS. $$$ Same with Butter oil. But I have heard they have such great health benefits especially us with leaky guts. I would love to try! I keep not starting CLO and BO because the good ones are so expensive; this is a great way to start! I have been wanting to try raw cod liver oil and haven’t found any in my town so I would love to win! I would love to win because I need something that is just as good as green pastures fclo but tastes better so that my children will actually consume it. They are so picky and I have a 3 year old son that has significant speech and language delays. To get my head back into the world of real nutrition!!! I would absolutely love to win this!! We’ve been slowly making the transition to bring more natural and getting the right nutrients in our family (I’m a wife and a mother of two boys and a girl)… I’ve been wanting to purchase fermented cod liver oil but we just can’t afford it right now and my husband is skeptical of the benefits of it so he won’t justify the cost. If I could just get him to try it and see how great it is, it would change his mind I’m sure!! Thanks for all the great info! Love your blog! I was just researching the extra virgin raw fish oil and butter oil on Co-organic last week! Its meant to be! I hope I win! Really curious about this and how it compares to the fermented versions. Great give away! To help with healing from autoimmunity. Thanks! Would love to try this new cod liver oil. Thanks! Boy, do I need these. I am about 6 months into recovery from celiac disease, and regular vitamins just aren’t doing it. Thanks for the chance to win. How is this different than fermented cod liver oil (which is what we’ve been taking thus far)? I’m excited to try a new brand and see the benefits! I would really love this, as I’m trying to rebuild my immune system and get healthy after quite a few health issues! I’d love to win because I’ve been hearing about the benefits of cod liver oil for so long now but never pushed myself to start taking it. Now that I’ve got a baby on the way, I should really reconsider passing it down! We just started FCLO for our family this weekend. I’m actively searching the internet to find ways to get my kids to take it. We got the Green Pastures caramel flavored coconut oil with FCLO/butter oil, and my kids all thought I was crazy when I gave it to them. (I remember feeling that way about my mom with bran as a child.) 😉 Would love to try this one tho see if it’s a better fit for our family. Heard this stuff is great for your health and dental health too! wanna try it! I have been hoping for some time now that another company would come along and provide some competition with Green Pastures. Dave Wetzel is very rude and I’ve recently discovered dishonest about his ingredients, as well. It make it hard to trust his product. Would love to win this! This stuff is worth its weight in gold! I want to win! Yay, excited to learn of this company! I’d love to try this. I’ve been getting Corganics emails for a while and also heard about their cod liver oil two years ago. It just haven’t bitten the bullet yet and committed the money. It’s pretty pricey! Perfect timing! I’ve been looking around to see where I can find good quality cod liver oil! I have heard of the benefits of cod liver oil, just never took the time to find a good brand and buy. Would love to try and see its benefits! I love Corganic and their products! Sounds great! How does it compare to Green Pastures FCLO? How does it compare to Green Pasture? i have been wanting to try some but not in my budget right now!! i hope I win! thanks for giveaway! I would love to try this! I am rebuilding my health and I think this would really help! I would love to try it! I have read a lot about cod liver oil, but have never been able to afford a quality product. Very interested in the benefits of this oil & would love to try to see if my kiddos can handle the taste! WOULD LOVE TO COMPARE TO WHAT I CURRENTLY GIVE CHILDREN TO MAKE THE SWITCH! COD LIVER OIL IS PHENOMENAL AND I AM INTERESTED IN THE RAW VERSION. Would love to compare it to green pastures ! Have yet to try cod liver oil in my whole foods journey. Would love to have some to add to the slowly growing repertoire of powerhouse nutrition! Awesome giveaway. I would love to try these. Been wanting to try fclo but the price can be a drawback! Excited for this give away! Would love to win this cod liver oil. I try to keep CLO in my house most of the time but often can’t afford the highest quality. I have 4 young kids and I know it’s essential for our overall health. On top of the K2 that I know is needed and for the benefit of healthy teeth as well for our whole family! My husband started having seizures 9 years ago and I know implementing a high quality CLO would be great for him! I have been curious about this brand for awhile now. I want to give it a shot to see if I can get my kids to take it! My husband and I are believers of the benefits of fermented cod liver oil- would love to try this brand out. Been wanting to try but you never know which brand unless you have a testimonial to influence you. Thanks! I have been waiting for over a year for them to start selling their cod liver oil. So excited that it’s finally available! Would love to try this stuff!! Oooooo, I heard about this awhile ago, and would love to try it! I’d like to see if this would make a difference in some of the health issues my family has! I’ve been wanting to try this brand for a while now; I have heard good things about it. As an EBF mama, I want to take it for my beautiful little girl. Start it now and continue once she starts solids… My parents took it as kids and I want to pass it along. Of course, this wasn’t the brand they had then but I love the purity of this! I’d love to try it! Would love to try this brand. Ty! Hope it would help child’s teeth. I would love the opportunity to improve my family’s health with the use of this Cod Liver oil! We just ran out of cod liver oil, so it would be great to win this! Pregnant with my first and been researching cod liver oil for baby and myself. 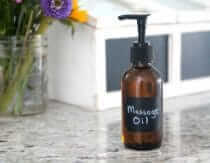 Would love to try this pure and organic oil! I’d love to compare this to my FCLO, and to see if I can get my youngest to try it. Thanks for the giveaway! I want to try this oil for teeth pulling!!! I am a huge fan of fermented cod liver oil and would love to try this EVCLO. I would also love to try butter oil. Thanks for this giveaway! Oh my goodness! I have been wanting to get this for a couple of months but have not had ANY extra savings…. I would LOVE to win this. “Real” food is the best for our health. Stepping back, away from corporation foods, to eat like our grandparents did. I’d love to try another brand of cod liver oil. This one sounds really good. Would love to win this so that I can see if I benefit from it. Good luck everyone! Oh my goodness, I am so incredibly excited about these products! I have tried some cod liver oil that is carried by the natural food grocery chain in my hometown, which my mother had purchased, and I could hardly get it down, in spite of the added citrus flavor! There was no way my picky eating daughters would get near it! I recently splurged a bit and bought butter made from grass-fed cows. I was amazed at the huge improvement in taste compared to the regular butter I’ve been buying for years! I can only imagine how exquisite the butter oil from Corganic is! I am also very happy to hear it did not upset your stomach, as my family and I are all lactose intolerant. I would love to try the extra virgin cod liver oil and butter oil first because of the purity of the products. That is something that is not transparent about many of the products sold in the U.S. and it’s important to me that I know what is in the food and drinks I give to my daughters, husband and myself. Thank you so much for introducing me to this amazing company! I have tried (and am currently taking) the Green Pasture CLO, and would love to try this to compare. We would love to win this. Thanks and Smiles! I have a son that was exposed to several antibiotics in utero and now at 14mo. I am really seeing the results. I know this would help. Would love to try this brand. I’ve been easing my kids into having cod liver oil daily. Would love to try the best one out there. I would love to try Corganic because I never have! I would love to win for my family’s health. I would love to try this brand, their process sounds so unique and amazing! Love your passion for all things natural and beneficial. Interested in trying something new that you recommend since the things we’ve implemented have been so good for my family. I would love to start these supplements with my children, but have not been able to afford them. My daughter and I have been taking the green pastures Clo/butter oil blend since she was born. I would love to try something new! I love the story behind how this oil is extracted (or not! ), so informative. We are almost out of our fermented cod liver oil and I would love to try this! I have also been wanting to try butter oil so this would be great!! This is very interesting. I haven’t read any comments, but want to ask what the benefits are compared to FCLO. I would love to try this….my kids won’t touch FCLO with a ten foot pole so it would be wonderful to give them cod liver oil that they liked! I’m still breastfeeding and would love for me and my baby boy to be getting as much nutrients as possible! Wow….this sounds like an amazing product!! Hope I win!! To keep my family healthy during flu season and year round. We already take fish oil and cook with a lot of ghee, but I’m interested in trying this brand. My family uses the Green Pastures products, but I would love to try these to compare! Very excited that there is finally an acceptable alternative on the market. I want to win because my daughter, who is 12 months old, has been needing cod liver oil in her life but we haven’t had the money to buy it for her (or my husband and me) So it would be awesome to win this superfood for the health of my family!! I just started using cod liver oil but have wanted to try butter oil! So much to learn! I would love to try this, I happen to have a daughter with special needs. I would love to win because giving the best to my family is really important to me. My husband and I are both chronically injured and our daughter is “hyper-sensitive.” So optimum health is even more important to us. I have never tried fermented cod liver oil and would love to try this brand. I know these are both amazing for lactating ladies and growing kids! I would love to try this for my family, especially my PDD son! I heard about this a while ago and am excited that it’s finally avaliable. Other CLO tends to “burn” my esophagus a bit. This product would be fabulous overall for our health & gut issues we are starting to fight. But then I noticed that the Corganics website says it’s good for autism. We have 2 beautiful kids in our extended family with autism & several friends who have kids with autism. I’m passing the info along to them too. A butter…now that sounds delish! I remember my Mother giving me cod liver oil ALOT when I was a kid. Would love to try this as it has to be 100% better than what we had in the 50’s. I’ve always wanted to try this, but was afraid I’d hate the taste. This actually sounds good! It would be a tremendous help with my arthritis and diabetes, and so strengthening for my immune system, and helping me bounce back from my cancer surgery and radiation treatments! Thank you so much for this chance! I would love to try this for the health of my family. My kids take FCLO now and do it because I ask them to….I can’t do it 🙁 You make this sound lovely and doable…maybe I’ve finally found one for me!! I currently use FCLO and would love to try a new brand! I heard about this company recently so I was so excited to see it pop up in your post! Mommypotamus always wins 🙂 I’m curious how you would compare it to the FCLO (which we’ve been taking). I like how this looks better, but I don’t know if we could afford it regularly. When I first heard of it though, it was from someone who thought it really shouldn’t be fermented, so that scared me a bit and I wish I could buy the EVCLO! I heard about this product and really want to try it. My family goes through a lot of cod liver oil!! This would be a huge help for us! Thanks again, Heather! oh my . . . I have been reading about Cod Liver oil and thinking about it . . . this would be great!!! I have been dying to try something like this. Thank you! I’ve heard it’s helpful for my digestive issues and would love to try it. Thanks for the opportunity to win it. Would love to try this. I would like to start giving my baby girl some as well! Have been wanting to CLO for some time. Hope the kiddos like it! Would be curious to try. Currently take FCLO. I have been wanting to try some good quality cod liver oil. I love the health benefits of cod liver oil and butter oil but have been out for far too long due to the expense. Working on gut health as we speak….with some kombucha….really need some cod liver oil too! I’ve tried cod liver oil and I’ve been wanting to try the butter oil mix. Thank you for this givaway. Would love to try this brand and definitely LOVE our butter oil here! Cod liver oil has been on my list of items to get to improve our family’s health, but it’s so expensive…. This sounds really great. I’ve been taking a LOT of vit D but I’m looking for a better balance of D, Omega 3’s and vit K. I trust whole food based supplements so much more than what is mostly out there. Can’t wait to try it. Sounds like a great product! Would love to try it! I would LOVE to win this oil. I just read about it last week and it is amazing. Would love to try this out! Been hearing a lot about it on my Weston A Price facebook group page and am interested to see if there’s a difference in how my body reacts to this process over the Green Pastures FCLO. Thanks for the opportunity! What are the differences and benefits compared to FCLO? Thanks for sharing this fabulous product! By the way, I love your posts. Thank you for inspiring our families to be happy, healthy and whole! I use fermented cod liver oil, but I would love to try this! It’s kind of expensive, so it would be nice to win! I’ve been interested in adding cod liver oil to my family’s daily regimen, but have been prohibited by cost and fear they wouldn’t take it if it’s too strongly flavored. Would love to win this and compare to green pastures! You got to love cod liver oil! I’ve been wanting to try cod liver oil for a while, so I’d love to win this! I would love to try these products for my family! I know how important these are to our health. My daughters teeth need help! Especially my eldest, who suffered from the fact of my cluelessness when she was a baby. I would love to try this new product hoping it will help with my complexion. I’d like to win because having a variety of quality companies to choose from and support is important! I’d like to know how it tastes and works before I buy. This is on my list of things I want to try! Thanks for an awesome & interesting giveaway!